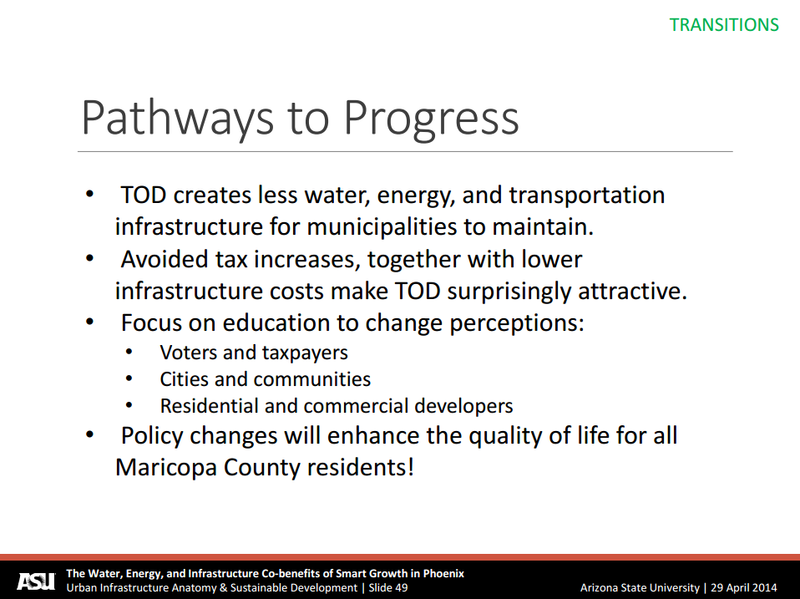 The Water, Energy, and Infrastructure Co-benefits of Smart Growth Planning in Phoenix, Arizona was a large-scale project under the guidance of Dr. Mikhail Chester. 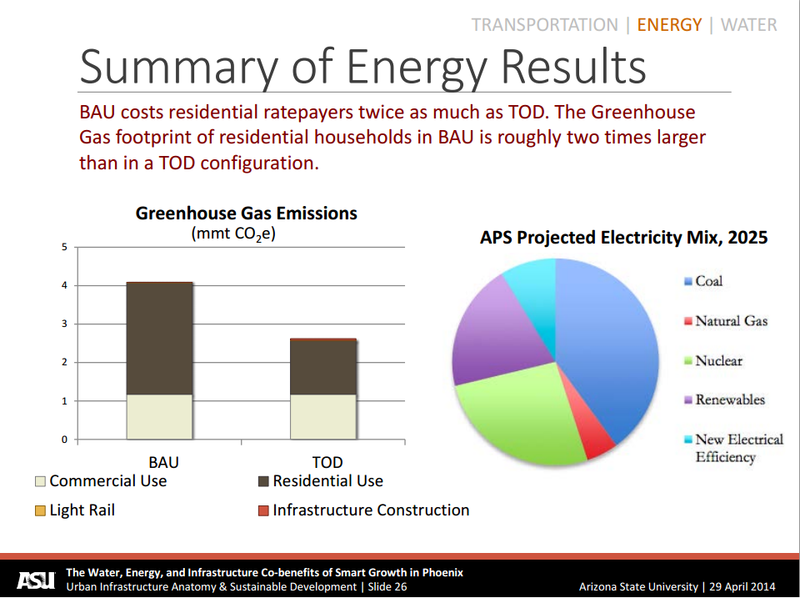 It spanned several disciplines in Arizona State University and compared impacts from traditional planning and development in Arizona with smart growth planning. 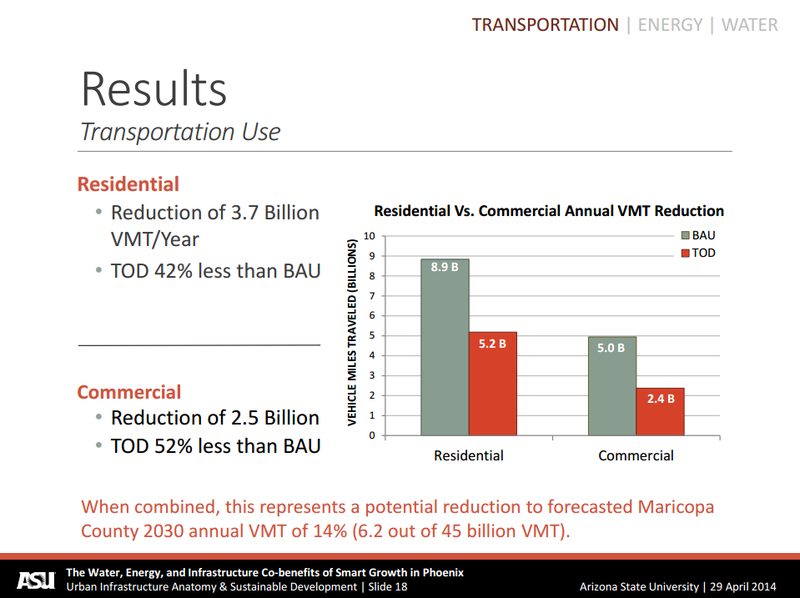 The project focused the changing needs and economies of areas identified by The Maricopa Association of Government’s Sustainable Transportation and Land Use Integration Study in the urban core. With growing awareness of the increasing costs of roadway maintenance and of climate change, this project is the latest in a series to produce analysis and data to convince policy makers and stakeholders in changing the trajectory of land use and development in the valley. My team’s role primarily focused on the qualitative analysis of political and socio-economic barriers against implementation of integrated land-use planning in the metropolitan area. With the results from each division of the project, we investigated possible changes to the behavioral patterns of residents. We identified issues such as established institutions against cooperation between the various cities in the region, economic dependence on the home building industry, and a lack of appropriate tax plans for funding such projects. Finally, we presented our findings and recommendations to stakeholders and policy makers who are looking to implement integrated land use planning in their respective jurisdictions.